We are beyond excited & honored to have these ladies on staff!!!! Kelly Johnson was born and raised in Wichita, Kansas. Her enjoyment for dance began at the age of 4, starting in both ballet and tap. At age 8, she began a more serious level of training in ballet under the instruction of Sharon Rogers with Rogers Ballet Inc. Here she additionally trained in tap and jazz. Kelly went on to achieve her B.F.A. 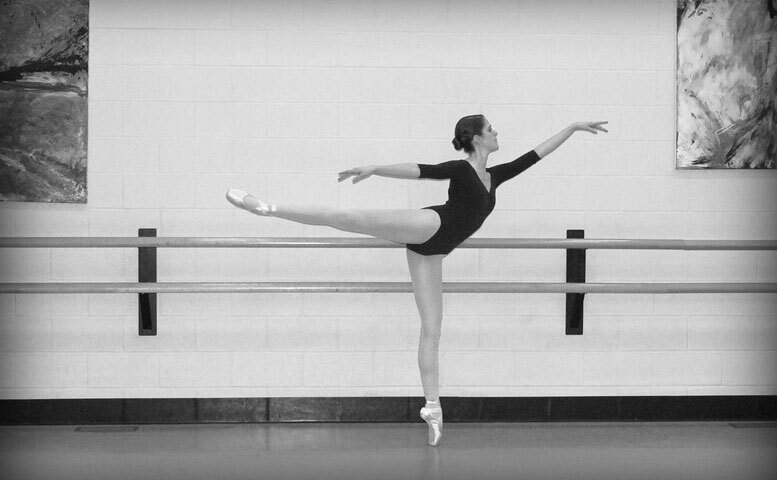 in Ballet at Friends University, graduating in the Spring of 2016. Training under the direction of Stan K. Rogers and Sharon Rogers, she has developed the skills to train, teach, and choreograph in the upmost professional manner. Kelly has worked with well-known choreographers such as Dominic Walsh (Dominic Walsh Dance Theatre), James Wallace (Director of Dawson/Wallace Dance Project), and Melonie Buchanan Murray (Ballet Professor at The University of Utah). Additionally, she has taken a master class from Alonzo King, director of the contemporary ballet company, Alonzo King’s Lines Ballet. During the summer of 2016 she attended the Oklahoma City Ballet summer intensive on Scholarship, where she trained for six weeks under the direction of Robert Mills (Director), Penny Askew (School Director), and OKC Ballet Principle and soloist company members. Kelly has been teaching ballet at Midwest Dance Mechanix in her home town for the past Spring and Summer sessions, in which she has worked with various levels of dancers being of age 3-18. She is thrilled to continue her work as an instructor in Wilmington, with Techniques in Motion, while additionally training with The Wilmington Ballet Company under direction of Elizabeth Hester. Miss Kelly will be instructor for Monday Elite Ballet Company class & Pointe 2. Nicole started dancing at age 4 and trained in Charlotte, NC. She trained with University City Performing Arts, Grand Central Academy of Performing Arts, and Miller Street Dance Academy. Nicole is trained in ballet, pointe, tap, jazz, lyrical, acrobatics, modern, and contemporary. Nicole danced competitively for 8 years regionally and nationally. She won numerous overall awards, judges’ awards, titles, and scholarships. Additionally, Nicole has taken classes with New York City Rockette Heather Langham, Noelle Marsh from So You Think You Can Dance Season 6, Sterling Masters from Wicked The Musical, Eric Sutphin a musical theatre choreographer, Gavin Lee who played Bert in the Broadway Musical Mary Poppins, and Abby Lee Miller from Lifetime’s Dance Moms. Nicole was a Junior Member of Carolina Dance Masters and is studying to take her teacher certification exams. Currently, Nicole is a student at UNCW studying accounting. Tap is one of her favorite dance styles and she is very excited to share her love of dance! Miss Nicole is the Junior Company Tap Technique Instructor. A native of Milwaukee, Wisconsin, Kara Wilkes began her professional career performing classical and contemporary work for five seasons with Milwaukee Ballet Company. In 2006, she became a soloist for Victor Ullate Ballet in Madrid, Spain. In 2007, she joined North Carolina Dance Theatre (now Charlotte Ballet) where she danced leading roles for four seasons. Wilkes was named one of “25 to Watch” by Dance Magazine in 2009, and joined Alonzo King Lines Ballet, based in San Francisco, in 2011. During her five seasons with Lines, she was named one of “12 Standout Performances of 2015” by Pointe magazine. In 2016, Wilkes choreographed works for the Lines BFA program at Dominican University in California, and for Midland Festival Ballet in Texas. In 2017, Kara premiered a choreographic work in the Wilmington Dance Festival. She has taught all levels of dance, including master classes for East Carolina University, UC Santa Barbara, and in Dublin, Ireland. Kara will begin pursuing her MFA in Dance at Hollins University this summer. Mrs. Kara will be instructing one of the Elite Ballet classes & Pointe 1! Kelsey Stott began dance training at the age of 2 and starting dancing competitively at the age of 6. Growing up she danced at Calvert School of Dance, The Dance Attic, and CC & Co. Dance Complex training in tap, jazz, ballet, contemporary, and hip-hop. Kelsey attended numerous dance competitions and dance conventions such as JUMP, NYCDA, NUVO, Starpower, On Stage America, etc. She has received training from dancers like Travis Wall, Nick Lazzarini, Mia Michaels, Sonya Tayeh, Martha Nichols, and Mike Minery. Kelsey began as a tap instructor at the age of 16 at Field of Dreams Performing Arts Conservatory. After teaching there for two years, Kelsey headed off to college at The University of North Carolina Wilmington. Throughout her entire college career, Kelsey was a member and performer for UNCW Dance Company. Every year she auditioned and was selected to choreograph and perform the tap dance for UNCW Dance Company’s annual showcase. Kelsey is now a graduate of UNCW with a B.A. in Psychology and a minor in Applied Behavior Analysis and Developmental/Intellectual Disabilities. Kelsey works full-time for Mission Made Jewelry which is a local non-profit that is working to break the cycle of poverty for individuals around the world through the sale of handmade products and Rekon Intelligence, an event management company that hosts regional and national events. Kelsey absolutely loves dance and cannot wait to work with all of the students at Techniques in Motion! Miss Kelsey will be teaching the Elite Tap Technique class & 9-11 Tap.